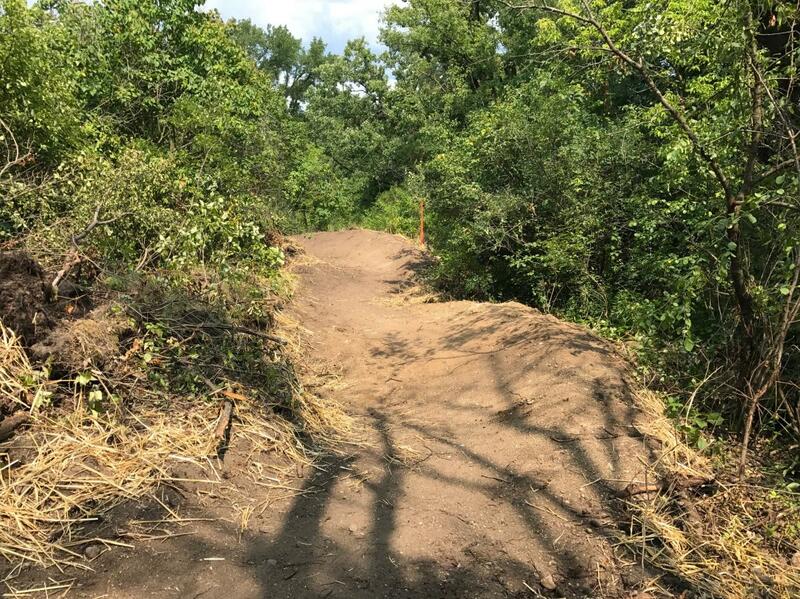 Review: This is easily one of my favorite trails in the South Metro area. It's a nice trail with a lot of shorter loops. If you are going for a quick ride you could get through the shortest route in 20 minutes. If you want a long ride you can hit all of the trails, and since the loops are stacked you can hit a trail you like over and over agian. This trail system feels like there is hardly ever any uphill and it is super fast and flowy. If you like really fast trails with a lot of berms, jumps, and rollers; this trail is awesome for you. There are also some pretty technical sections that are a good challenge and there are some tricky features off to the side of some of the trails. The green trails are really easy, and the black trails are a ton of fun. There are some pretty big jump and one large drop. Such a sick trail!!! Review: I really enjoyed this trail! Jumps, burms, and skills obstacles on black trails with flowing blue trails. Great short ride with a different feel then most of the surrounding trials. Review: Fun trails . Every bit of the trail will build your skill and confidence levels. Quite a few obstacles, Berms ,jumps,table tops, etc. I really enjoyed this well thought out trail. I tried the green ,blue,and black several laps each and enjoyed every bit of it. Well done Lakeville ! Review: West Lake Marion is an enjoyable, short, stacked loop trail. Very fresh, will need to be worn in of course. Trail is wide with good viability. Lots of rollers and berms with good flow most of the time. Lots of trail options as you get into the heart of the trail. Being a short trail, you'll probably loop it a couple time and the different trail lines keeps it from getting boring. Watch some of the rollers in the advance trail, they get you some air if you don't watch your speed. A few rock gardens here and there, too. It's a nice city trail to get in a few laps after work. West Lake Marion MTB Trail 4.50 out of 5 based on 4 ratings. 4 user reviews.